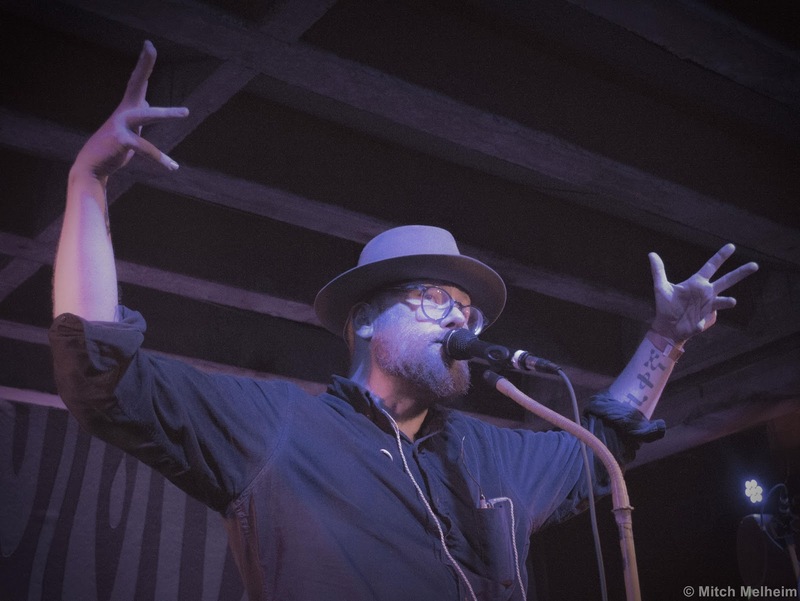 Former Soul Coughing front man, Mike Doughty, brought his new solo band to Portland, Oregon’s Doug Fir Lounge for a career-spanning set that satisfied fans of both Soul Coughing and his solo career. Once uninterested in playing songs from his old band, that changed after his 2013 release of Soul Coughing songs reimagined to fit his current style. The result has been a refreshing take on classic songs that merge perfectly with the direction his solo career has taken. That direction has been decidedly electronic, but maintained his quirky and minimalist approach. 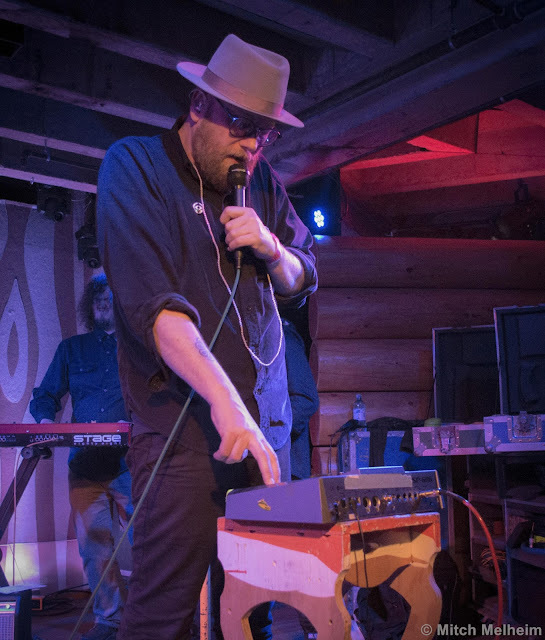 Doughty spends the majority of the show bouncing between his sampler pad and a microphone, ripe with his trademark melancholy demeanor and sarcasm. Occasionally he will bring out his guitar, but he spends much of the time orchestrating his six-piece band. Two guitarists, a drummer, a keyboardist, Doughty, and his long-time collaborator on the cello Andrew “Scrap” Livingston make up the band, a drastic improvement from the once stripped-down acoustic shows I remember from Doughty’s earlier solo career. The live drums and cello combine with Doughty’s beats to create a sound much closer to Soul Coughing than I thought I would ever hear again. It's important to note that these songs have all been taken in a unique direction from their original versions, but still retain that Soul Coughing sound that Doughty fans had thought was long gone. Technically touring in support of his new album The Heart Watches While The Brain Burns, he touched on a few of it’s songs throughout the set while also mixing in solo classics such as “Light Will Keep Your Heart Beating in the Future.” That being said, the highlights for me were unapologetically the Soul Coughing songs. Stellar versions of “Bus to Beezlebub” and “Circles” began the show before a unique, even more spoken word version of “Screenwriter’s Blues” featuring only Doughty and his samples led into the band rejoining him and playing some of his solo work. An intense “How Many Cans?” brought it back into more Soul Coughing with its dancey, but dark electronic sound. Doughty did a great job of making sure folks left satisfied with a strong finish that included an abrasive set-closing segue of “So Far I Have Not Found the Science” > “St. Louise is Listening” and an encore of the Soul Coughing classic “True Dreams of Wichita” that was familiar enough for everybody to sing along to, but modified enough to keep everybody on their toes if they hadn't heard the newest incarnation of the song.